Ack! 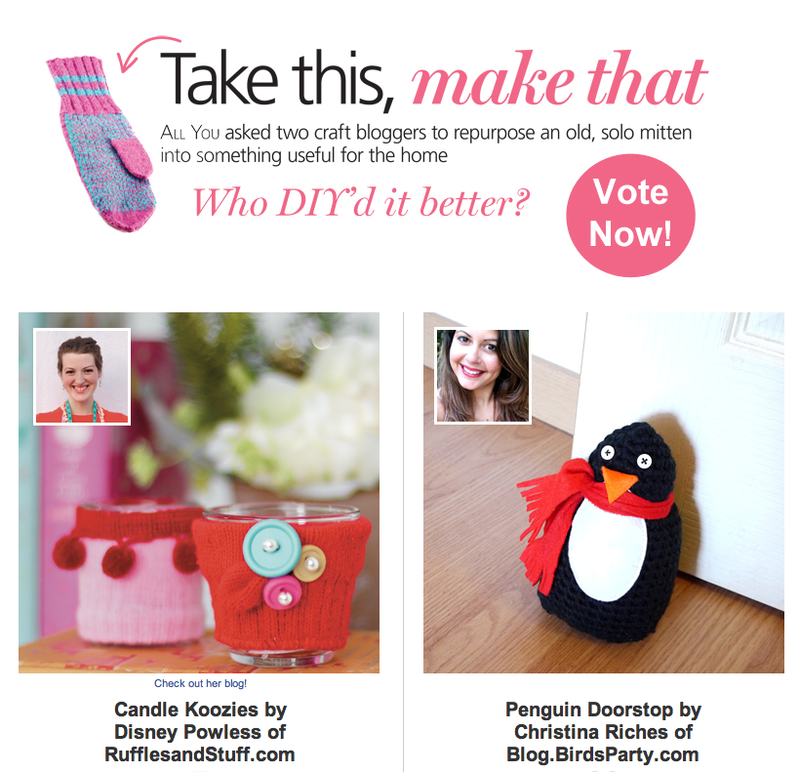 I'm way late posting this, so there are only a few hours left to vote, but Christina of Bird's Party blog and I are participating in All You Magazine's "Take this, make that" challenge!! So fun! P.S. As far as I can tell, the voting doesn't show up on mobile devices, so if you're on your phone and can't find it, that might be why! I think yours is way better! I'm not just saying that because I read your blog,yours just appeals to me more!